Admissions 2018 for MA Programs - click here! We have the best Political Science program in Romania! For the 2018 admission session, we offer 8 places with free tuition and 22 paid places. We train experts in international relations, european studies, political analysis, feminism, political anthropology, data analysis, political disocurse, classical and contemporary political theory. Choose a faculty connected to the realities of our world. At Political Science you're going to learn about current issues that are on the agenda all over the world: globalization, cultural diversity, global warming, terrorism, or migration. Also, you acquire leadership skills and a unique way of interpretation on how societies and political systems work. The Department of Political Science of Babeș-Bolyai University was the first one that specialized in this field in Romania after 1989. You have the opportunity to meet students from other countries through exchange programs. Thanks to Erasmus programs, students from Germany, Italy, Czech Republic, Slovenia, Hungary and Poland come to study at our department. By chosing our department you have the opportunity to spend a semester or a year in these countries and others. The Department of Political Science developed partnerships with central and local public institutions where you can take an internship. Some of these institutions are: Presidential Administration, Romanian Government, Ministry of Foreign Affairs, the Diplomatic Institute, and the Romanian Parliament. The professors at Political Science have completed their studies or carried their research studies in prestigious universities in the US or Europe. For example, Bogdan Radu, professor of international relations at Political Science, holds a PhD from the Unviersity of California and Florin Feșnic, professor of political parties and quantitative analysis in STATA, holds a PhD from the University of Illinois. You can find more about our professors here. Other professors at american universities (San Diego State University or University of North Dakota) teach at our department. Our faculty has modern facilities, such as the most well-stocked library of political science, an advanced computer lab, classrooms equipped with multimedia infrastructure. The faculty has a wireless network throughout the building that's accessible to all students. We have graduates who have built successful careers in politics, research and are experts in international institutions. You can find more information about their profiles and experiences here. 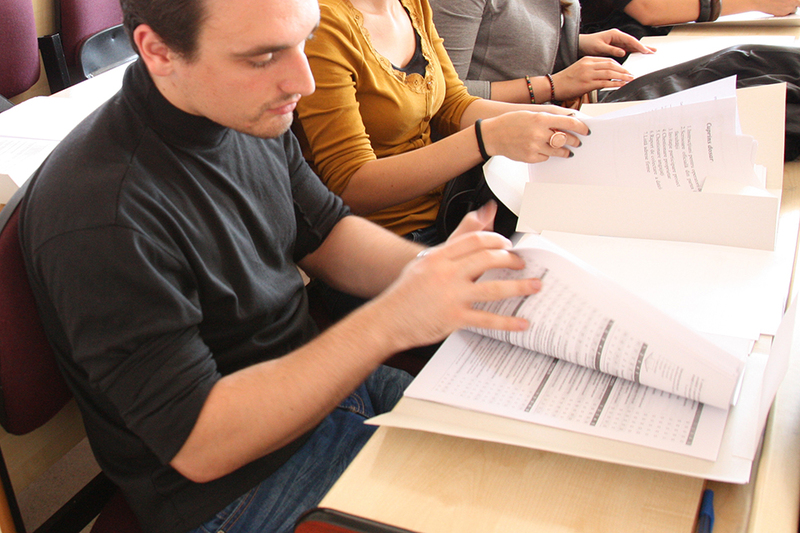 If you're convinced, come and join us and choose on of three lines of study: Romanian, English or Hungarian! High school graduation diploma or its equivalent – a certified copy of the original document and a certified translation by a public notary (in Romanian, German, English or French, if the original is not issued in one of these languages). A precondition for application is the recognition of the study certificates (high school, BA) by the Romanian Ministry of Education and Scientific Research. For further details, please contact Mrs. Corina TODEA, from the Centre for International Cooperation (corina.todea@ubbcluj.ro). Candidates who are applying for the English study line need to take an interview during the admission period. Check out the master programs at our department. You can find more information about our master programs here.